- Mosquito Net Attached with Canopy. - Can be converted into a rocking chair. 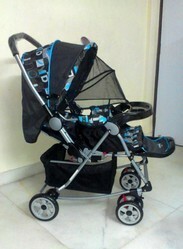 To meet the requirements of valuable customers, we are involved in offering Designer Cross Prams. 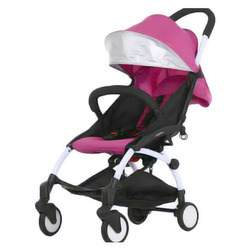 We offer high quality pram in vivid range of sizes & shapes. Also providing product on EMI basis. Leveraging our vast industrial experience in this field, we are committed to offering a wide spectrum of Baby Prams.